The beginning of a new week brings us a new UK top 40. There’s a new no.1, too. This time it’s Nintendo’s turn with Yoshi’s Crafted World on Switch. Believe it or not, it’s the first ever title starring the loveable green dinosaur to claim no.1. Yoshi’s Crafted World isn’t a runaway success, however. GI.biz reports it only managed to sell 63 more units than The Division 2, which holds onto #2. Sekiro: Shadows Die Twice – last week’s chart-topper – fell to #3. It managed to remain at no.1 in the PS4 chart for a second week, though. Most of last week’s new retail releases managed to break the top 40. Assassin’s Creed III Remastered snuck in at #9, the THQ Nordic-published Generation Zero took #19, The Walking Dead: The Final Season claimed #23 while Deep Silver’s Outward followed behind at #24. Outward’s arrival surprises us. Even now the survival RPG is yet to obtain a Metacritic score, currently reviewed by just two outlets. Also of note is EA’s Anthem making a swift descent. The loot shooter is down fifteen places this week, dropping to #30. We sense an imminent price drop. EA’s Anthem successfully managed to keep four big new releases at bay, claiming no.1 in the UK top 40 for the second week running. The LEGO Movie 2 Videogame [sic] was the highest new entry, taking #4. DIRT Rally 2.0 made a pitstop at #6, while Trials Rising Gold Edition settled for #10. Dead or Alive 6 hasn’t proved anywhere near as popular, debuting at a poor #21. FIFA 19 climbed one position to #2, Far Cry New Dawn fell to #3, while RDR2 took a drop to #5. Metro Exodus alighted at #7, down two stops (positions). Switch stalwarts Mario Kart 8 Deluxe and Super Smash Bros. Ultimate held onto #8 and #9, meanwhile. Call of Duty: Black Ops 4, Forza Horizon 4, and NSMB.U all departed the top ten this week, making way for the new releases. Expect Call of Duty: Black Ops 4 to resurface when it next receives a price drop. EA’s Anthem had no trouble soaring to the UK chart top spot. GI.biz reports it had a better first week than both Far Cry: New Dawn and Metro Exodus, but was unable to beat the launch week sales for Resident Evil II and Kingdom Hearts III. As such, Capcom’s horror remake remains the fastest selling game of 2019 so far. Speaking of Far Cry: New Dawn and Metro Exodus, the two didn’t suffer a huge drop in sales during their second week on sale. 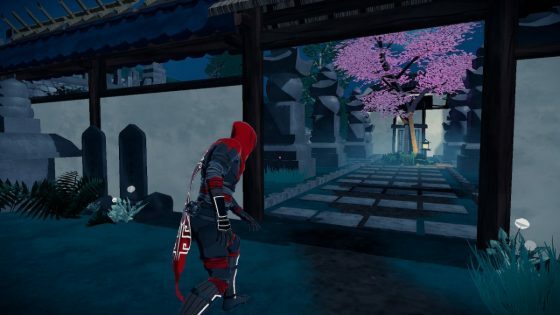 The same can’t be said for Jump Force – which fell from #4 to #17 – and Crackdown 3, which nosedived from #13 to #26. Far Cry: New Dawn dropped just one place to #2, FIFA 19 moved up to #3 thanks to a minor price cut, RDR2 fell down to #4, and then at #5 it’s Metro Exodus. There’s a re-entry at #6 – Forza Horizon 4, up from #15. NSMB.U and Mario Kart 8 Deluxe held onto #7 and #8, while Call of Duty: Black Ops 4 rose to #9. Super Smash Bros. Ultimate sees us out the top ten boxed chart at #10. Resident Evil II and Kingdom Hearts III both left the top ten this week meanwhile, falling to #11 and #16 (respectively). While it’s true that Bioware is more than familiar with sci-fi tropes – and that Mass Effect’s combat improved significantly as the series evolved – we doubt anybody at the studio predicted they’d one day create a sci-fi loot shooter. Indeed, Anthem has a stigma attached that’s hard to shake – a feeling that Bioware is being forced to prove their worth here, put to work on something with mass appeal that’ll help recoup losses. This is what happens when a marketing team forces a studio to follow a trend, regardless of genre experience. Being a slow-burning experience designed for the long haul, reviews of Anthem are yet to surface. Many critics have chalked up impressions from their weekend spend with the alleged Destiny killer though and they’re somewhat predictably mixed. 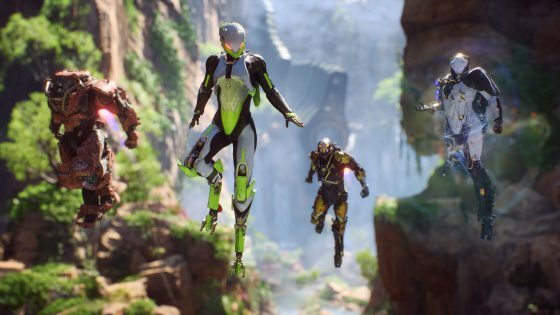 “After several hours with Anthem, I can’t say I’m particularly interested in it yet. I’ve completed some missions, upgraded my loadout, and gone on some more missions, but I’m not yet invested in anything I’m doing,” said GameSpot. But it’s not all bad news – Kotaku found “a lot to love”, even though they had doubts about its staying power. “Of course, the real challenge for a game like Anthem is whether it can still feel almost as exhilarating after 100 hours as it does after six. Even now I have concerns the breadth and diversity of enemy encounters and mission types,” they said. Finally, God is a Geek found the story and lore to be “better than expected” but complained of stupidly long loading times, some of which seemed completely unnecessary. 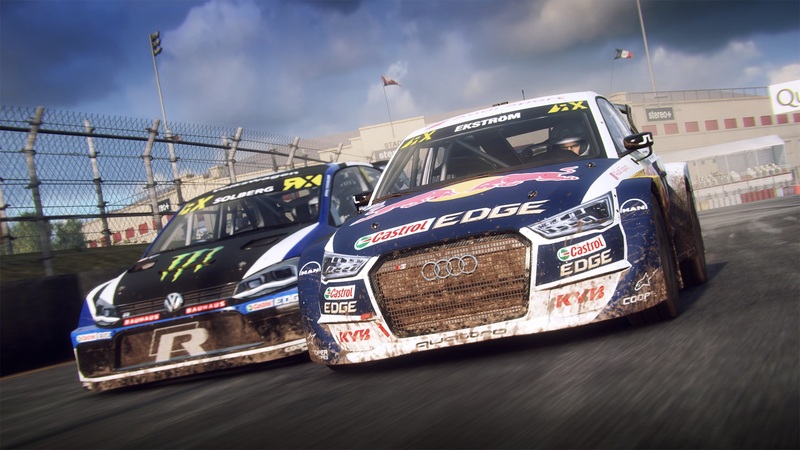 It seems very few publishers dare go up against the might of EA’s marketing team – Anthem has one of the largest advertising campaigns we’ve seen in a while – but there is one other big name release out, in the form of DiRT Rally 2.0. 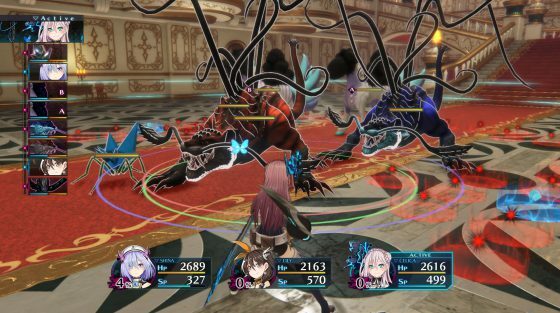 We’ve rounded up scores below, along with reviews for visual novel Steins;Gate Elite, JRPG Death end reQuest, and the Switch release of Aragami: Shadow Edition. It could be argued that most, if not all, of the big-name publishers played it safe at E3 by sticking to their franchises and annual outings. Even so, this year’s expo could become one for the ages. The big boys bought out their biggest guns, resulting in an extravaganza of exceedingly promising titles. Sony had a strong line-up of system showcases; the usual assortment of new and classic IPs that we’ve come to expect. Microsoft knuckled down and finally revealed some new games; 42 titles, no less – 22 of which are exclusive in some way. As for Nintendo, while we would have liked to have seen at least one new IP, and a few more third-party titles, their line-up was incredibly strong. By the end of 2018, we should have a Switch catalogue that eclipses that of the Wii U. A dizzying prospect. We’ve picked out six showstoppers that had the crowds whooping and hollering. Woo! EA’s conference marked the beginning of E3, and so it makes sense to start with a new game from good old Electronic Arts. Step forward A Way Out, a story-driven adventure that can only be played via online or local co-op in split-screen. Maybe not the most enticing of set-ups, but consider this – it’s from the guys behind Brothers, which also had an unprecedented focus on teamwork. 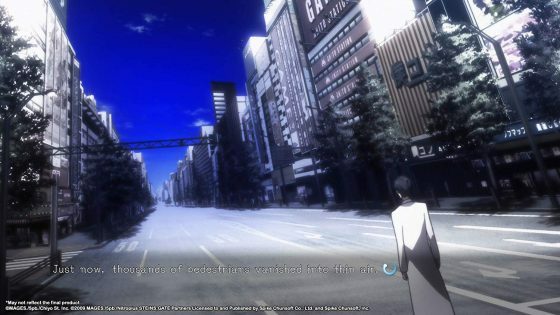 Essentially Prison Break: The Game – excusing the fact that such a thing already exists – it sees two criminals escaping from prison and going on the run, fleeing through forests and taking to the city streets to reunite with their families. With different scenarios unfolding each time, playthroughs should vary significantly. Our only worry is that the online experience is going to heavily depend on whom you’re paired with. Online etiquette isn’t what it used to be, but hopefully, the more mature tone will attract a fanbase with decorum.